Kenny Griffin has made a name for himself in what seems like overnight! Dropping several insane video parts this year alone, Kenny has got to be one of the hardest working dudes out there at the moment. He recently got the bump up to the Lucky pro team and so I thought we should celebrate with an interview. Blake Bailor: First of all, Can we get an introduction for those who are unfamiliar with whom you are? Blake: I have to know, how do you crank out video parts so easily? Kenny: A huge part as to why im always making edits is because Damion Black, my filmer is always hyped to go to new spots and film. Damion doesn't actualy scooter so when we are at spots he just films everything that goes down. I always like pushing myself to try new things, when we're filming im always riding with other people so we can all get eachother hyped to try new tricks. Blake: Thats rad! It's the best when you can vibe off of another rider like that. Which trick took you the longest to land in your latest video part? Kenny: I would say my ender, the board to double whip took me the longest. The rail was pretty tall so it took me awhile to actually be able to get set to trick off. Blake: That rail certainly didnt look like an easy task. Who do you look up to in the sport? Kenny: One of my favorite riders that I've looked up to ever since I started was Matt Mckeen. He is just so good at rails it's insane. Watching his videos helped me jump onto my first handrail. Blake: Yeah, Mckeen is the man. 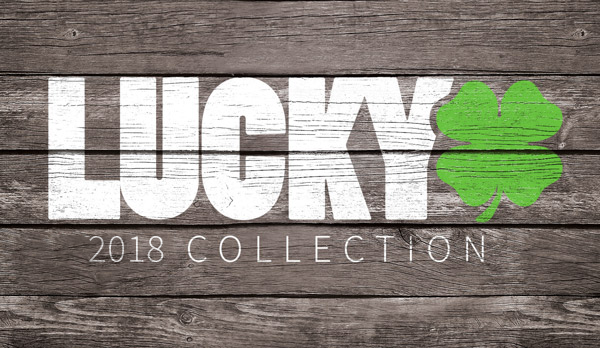 What are your thoughts on being pro for Lucky? Kenny: Well ever since I started, being pro was pretty much my dream. Lucky has been really supportive, helped me grow as a rider and done so many things for me. Being pro is an awesome experience. I never thought I'd be on a team with some of the riders that I look up to… like all of the OG lucky dudes. Blake: Well you definitely earned your spot and I think I speak for everyone when I say we're stoked to have you on the pro team. Now the question I think everyone wants to know the answer to... how do you get the balls to jump onto an 18 rail? Kenny: Well when I hit the 18 rail I hadn't really hit very many handrails yet, but I saw the rail in a few skate edits and I wanted to hit it. We got there and I just decided to huck it. It took 4 tries, and the first 3 tries I fell super hard, but got it on the 4th. Such a good feeling after rolling away from something you've been wanting to do for a long time. Blake: That sounds like a hectic experience. I wouldn't know what to do if I rolled away from a rail that big. What are some things you want to do with scootering now that you have a pro spot? Kenny: Well, now that I'm on the pro team, one of my dreams would be to go out of the country to ride or go to a street jam. Going to new places that I've never been to before to ride my scooter would be so cool. Also, getting some sort of job in the scooter industry so I could do what I love for a living. Blake: Word. I definitely feel you on that. I can tell you first hand, traveling over seas to ride your scooter is a crazy experience. Do you have any last words for all the scoot homies out there? Kenny: Shoutout to Lucky for being so supportive and getting me to where I am today! Also, to my other sponsor Epic Skatepark. For those of you who have been living under a rock and haven't seen it yet, here is Kenny's most recent video part. A work of art. Enjoy.